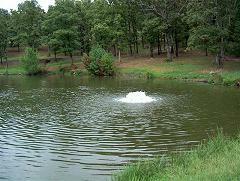 Algae is a common problem with most pond or lake managers. Sunlight, high nutrients and low oxygen levels all contribute to algae problems. The best time to prepare yourself and your pond is early spring. Dunn's Fish Farm has put together these proven products to give you the edge. Spend less time treating your pond and more time fishing. These products have proven successful against many types of Algae including filamentous and hair algae. 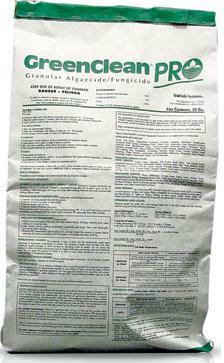 This combination of products will generally treat 1/2 to 1 acre depending on pond depth. 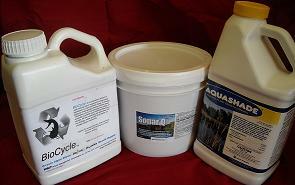 How & When to use these products..
Aquashade should be used first in this process, early spring is best. Aquashade is a blend of blue and yellow dyes specifically designed to screen or shade portions of the sunlight spectrum (red-orange and blue-violet) required by underwater aquatic plant and algae growth. Biocycle Algastat is a two phase water conditioner with barley extract. Biocycle is best used when water temperatures begin to rise in early spring. Nonmetallic pigment base, screens out specific sun rays interrupting photosynthesis. Live reproducing microbes out compete algae for available nutrients in the water. Used in a structured maintenance program algal blooms are minimized and less frequent during warm months. 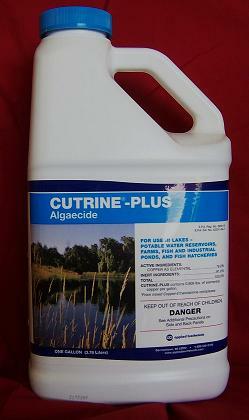 Cutrine Plus Granular is used to kill algae on the bottom of the pond. As you see algae forming in the shallows use 1lbs per 720 square feet using a handheld spreader. Most algae will start on the bottom and eventually float to the top. This will kill algae before it is present on the surface. 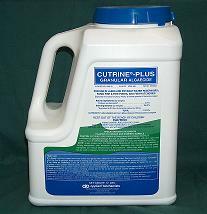 Cutrine Plus Liquid is used when algae is present on top of the water. 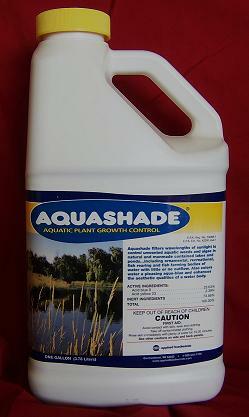 Aquashade & Biocycle when used properly will limit algae growth so you will treat less. This product is mixed 9 to 1 with water and sprayed directly on the top water algae. *Coverage - Up to 3/4 acre, depending on stocking densities. Your MOSS BACK FISH RACK consist of one (1) PVC Tube, twelve (12) Composite Branches, one (1) 4ft Coated Stainless Steel Cable, and one (1) Nylon Bolt w/ locking wingnut. Submerged Vegetation is common and can be a problem with most pond or lake managers. Some vegetation is native to an area although birds can bring unwanted vegetation from other regions. The best time to treat is spring when water temperatures begin to rise. Keep in mind when treating vegetation, oxygen levels can drop. Aeration will be important during this time. 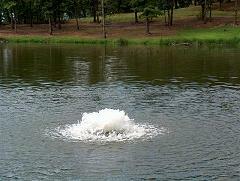 Click here for more information on aerating your pond. Dunn's Fish Farm has put together these proven products to give you the edge. Spend less time treating your pond and more time fishing and enjoying your pond. 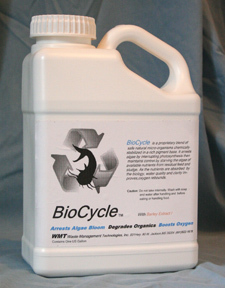 Biocycle Algastat is a two phase water conditioner with barley extract. Biocycle is best used when water temperatures begin to rise in early spring. As the Sonar Q is working and killing exising vegetation, nutrient levels rise which can bring on an algae bloom. Nonmetallic pigment base, screens out specific sun rays interrupting photosynthesis. Live reproducing microbes out compete algae for available nutrients in the water. Used in a structured maintenance program algal blooms are minimized and less frequent during warm months. Sonar Q The Sonar Q pellet begins the degradation process immediately upon contact with the water. Once submerged the Sonar Quick Release pellet swells and expands, transforming the pellet into a buoyant composition that will rest on top of soft muck bottom sediments. Sonar Q has the efficient concentration level of a liquid, but provides for more accurate placement. The pellets will land where they are thrown, eliminating overspray onto sensitive shoreline vegetation like lawns.